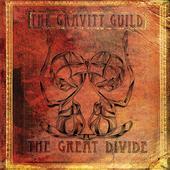 On "The Great Divide" The Gravity Guild takes classic rock roots and twists in some modern Audioslave kind of sounds to create a sound that's all their own. A sound that's familiar yet new at the same time. It's in no way nu-metal, but it reminds me at times of Disturbed, but that may be because the lead vocalist has pipes like David Draiman ... and that's no faint praise. The songs are pretty hard rockers throughout, but all have an acoustic twinge -- the band calls it "acoustic-inspired." It's an odd mixture that produces a fascinating combination. My favorite track is probably "The Game," which starts out simmering and eventually bursts into crackling flame. "The Great Divide" is a solid, unique album from beginning to end and it makes me want to hear more from this band, if only to see what they try next. For more information, check out http://www.thegravityguild.com/. Revised: 28 May 2018 13:03:55 -0400.